Dr. Chac is amazing! He is so comforting and a joy to be around. Every person in the office is equallywonderful. I am so thankful to have found this place! Dr. Chac is amazing! He is so comforting and a joy to be around. Every person in the office is equally wonderful. I am so thankful to have found this place! Dr. Chac earned his medical degree from the University of Arizona and went on to complete his training in Obstetrics and Gynecology from the prestigious Loma Linda University. Since then, he has remained in Southern California and has continued to provide exceptional women’s health care to thousands of families throughout the Southwest. 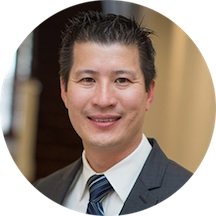 A skilled surgeon in both traditional and advanced robotic surgery, Dr. Chac is both board certified with the American Board of OB/GYN and a Fellow of the American Congress of Obstetricians & Gynecologists. His gentle and welcoming manner has won the hearts of many mothers-to-be and the trust of women seeking gynecologic care. His philosophy has always been to place his patients first and to provide a personalized level care for each patient throughout their health journey. To expedite your check-in process, please print out our patient intake forms and complete them prior to your appointment. Thank you. He was professional but I feel like I wasted my time going to see him and having to pay a high amount of money for nothing. He talked to me for maybe 5 minutes saying he couldn't do anything but whenI called to ask if I could have everything in one day they assured me they could. Dr.Rick Chac clarified each of my questions, knowledgeable and respectful. Thank you for making this appointments easier. He was amazing! I usually dislike going to the doctor but he was informative, empathize and polite! Will be telling everyone I know who is looking for an OBGYN. Loved my first visit! Beautiful office, friendly staff, and awesome doctor! Five stars hands down! He was very knowledgeable and great bedside manner. Will visit again!! Dr. Rick is very professional and he explained me very good about my treatment. I had a great visit. Dr. Chac just opened a brand new office and it is gorgeous. He’s really nice. Very knowledgeable as well. I will definitely be ultilizing him as my primary GYN. Dr.Chac was very attentive, addressed all of my needs and concerns. I highly recommend him! Dr. Chac and his entire team are wonderful! I recently started working in the area, and was easily able to make a same day appointment. He was extremely friendly and immediately makes you feel comfortable. I am glad I have found my new doctor! This was a most pleasant experience. I will surely be coming back. Dr. Chac was great. Super friendly, not intimidating, available for any questions/concerns, and quick. Helpful, professional, comfortably addressed all of my concerns. Great bedside manner and he explained everything clearly and succinctly without using crazy acronyms or technical terms that I didn’t understand. Left feeling much better and more informed about my condition. Other than being almost an hour late (looks like too many people scheduled), it was a great experience. I went in for an annual visit and Dr. Chac made me feel very safe and at ease. He is friendly and expedient! Dr. Chac has amazing bedside manner, but the wait to be seen was a bit long today, but normally isn't that long. I made an appointment for an annual pap smear. The doctor ended up not giving me my pap and just talking to me the whole session. He said until he has my previous records, he would not do this regular service.I've never been to a doctor who would not give me a pap. If that was his practice he should not have been listed on the zocdoc app. And then at the end he gave me a hug?! So I'm out of my time, co-pay, and still have to find a different doctor to have a regular annual exam. I really felt duped after going to that appointment, and am considering never using zocdoc again. Dr.Chac was very pleasant. Hes very knowledgeable and kind. Hes also very funny which is something i looked for cant have someone thats too serious, but hes very respectful. I enjoyed my first visit i was very comfortable. I was frustrated that when I arrived at the appointment they told me they couldn't perform the services I asked for and be covered by my insurance without pre-approval. I had stated the exact purpose for my appointment when I madeit, so that they hadn't sought pre-approval if necessary was ridiculous. I was in a lot of pain, so I decided to proceed without the insurance, which thankfully I had the means to do. He's an amazing doctor. He's nice, friendly, and knows what he's doing. The staff is really helpful. I am beyond blessed that I found them and that they will be the ones helping me through this pregnancy. He was fantastic. Made me feel comfortable and answered all my questions. Dr. Chac is a gem. He's very welcoming, punctual, and above all, great at what he does. He addressed all my concerns and questions I had, and added tremendous professional advice. Between him, his warm staff, and great location, I will undoubtedly return in the future. I highly recommend! He is very kind and has great bedside manner. This was my first time seeing an OBGYN and I'm not going to lie, I was very nervous, especially because it was a man doing the examination of my lady bits. But Dr. Rick Chac didn't make me feel uncomfortable atall. He started off with jokes and was very respectful and addressed my few questions (and even questions I didn't ask!). I would 100% recommend this office and specifically Dr. Rick Chac. If you're looking for a great OB/GYN then look no further, Dr. Chac is the best choice. He and his office staff are personable and professional. He is truly concerned with his patients well being, listens to your concerns and explainseverything thoroughly. You don't feel like you're just another patient coming in to see the doctor, you're treated like family friends who will be well taken care of. As someone who also works in healthcare, I've meet a lot of doctors but a great doctor such as Dr. Chac is rare to find. You wont be disappointed by him or his office staff. I had an amazing visit with Dr. Chac and his team. They were extremely comforting, as I get very nervous for doctor appointments. The staff was very nice, informative, and patient with me. Dr. Chac listened to all my concerns andmade sure I had all my questions answered. He was very personable and professional, making me feel completely taken care of. I would absolutely recommend him to anyone! Entire staff extremely personable and efficient. The doctor was very nice and put me at ease right away. It was appreciated that everyone in the office was friendly, kind, and professional. My first visit and thoroughly impressed. What a personal visit not rushed at all. Hes awesome, very personable and caring! Remembered me from a year ago! Dr. Chac and his staff are all really wonderful professionals, and it made for an overall pleasant experience. Everything was explained thoroughly and the Doctor made sure I didn't have any more questions or concerns before I left. Highly recommend! He listened to what i had to say...and my concerns. He was patient and caring...he is now my obgyn permanently. A doctor's office where everyone is nice is uncommon. Everyone there likes their jobs. You can tell by the way they carry them selves. No complaints. Dr Chac and the entire staff were friendly and efficient! Im 9 weeks pregnant and truly wanted an ultrasound on my first visit and they accommodated me with no problem! With this being the first time I was pregnant , thewhole team made sure I was comfortable and helped explain everything I needed to do! Thanks guys! See ya in a few weeks! My first impression was that I chose the right Doctor!! He was extremely nice, informative and put us at ease. Highly recommend him?? Very pleseant and made me feel comfortable..